The decade-long, semi-dictatorial Conservative reign has finally come to a end. The Liberals, led by Justin Trudeau, the same ones relegated to third place in the last election, powered their way back to a majority government. 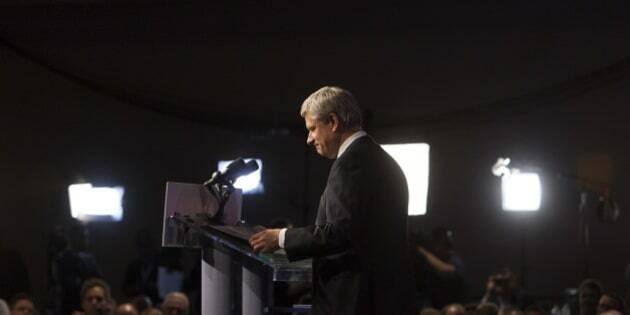 In the end, Harper's brand of negative politics became his undoing and united the country against him. Let's be honest, Harper didn't run a divisive campaign -- he ran a downright racist one. From repeated attempts to ban the niqab at citizenship ceremonies to selective refugee approvals based on religion, to introducing a "barbaric cultural practices" hotline, Harper's Conservatives desperately played every card to pit Canadians against each other. In the end, such tactics had the opposite effect. Canadians of all stripes stood up in unison to condemn "Harpericism" and reclaimed the Canada Stephen Harper sought to transform. I was witness to this political awakening through volunteering for Liberal candidate Amarjeet Sohi in the Alberta battleground riding of Edmonton-Mill Woods. In all my years of political involvement, I have never seen people so engaged, so energetic, so engrossed in what they were trying to accomplish. Our campaign office was a microcosm of Canada itself. People from all backgrounds, races, colours and creeds working tirelessly together for a Canada dedicated to inclusion and peace; not one devoted to division and fear. After multiple recounts, the former Edmonton city councillor won by a mere 92 votes. The riding became one of only two ridings in the city and one of only four ridings in the province to go Liberal. For the first time in a decade, Edmonton-Mill Woods is not a Conservative domain. This is only one example and indicative of a larger trend across Canada with support from all Canadians. In the run-up to the election churches across Canada raised thousands of dollars to resettle Syrian refugees fleeing war-torn Syria. Notable non-profit organizations like the Canadian Civil Liberties Association and the Canadian Journalists for Free Expression mounted Charter challenges to the Anti-Terrorism law. Canadians in media across the nation lambasted Stephen Harper for muzzling scientists and restricting journalist access. This was not an election lost due to the mistreatment of select minorities. This was an election lost due to the mistreatment of Canadians -- period. That isn't to say that the marginalization of Canadian minorities wasn't a factor. Two communities historically absent from the political scene became highly active. Organizations like the Canadian Muslim Vote, Alberta Muslim Public Affairs Council (AMPAC) and the National Council of Canadian Muslims worked hard to encourage and facilitate the Muslim vote. Canada's sizeable Indigenous population began a "Rock the Vote" campaign to encourage the Indigenous vote and the efforts of both communities paid dividends. We were, some would say, thrashing around a bit and trying to come up with policies that perhaps were aimed a little too narrowly, things like niqab and life-means-life sentencing. Some of the direction was not as appealing to a broader swath of people who would be viewed in the more centrist, progressive heart of the population. You have to appeal to the masses in order to maintain a level of support that's going to keep you in government. Only time will tell what type of legacy Harper will leave behind. What we do know is that Canada's democracy is more vibrant now than ever before. Although Stephen Harper was a detriment to this country, he also brought out the best in us. So, thank you Mr. Harper for your divisive brand of politics that mobilized more Canadians to the ballot box than in the last 20 years. Thank you Mr. Harper for reminding us how powerful democracy can be when people truly want change. Last but not least, thank you Mr. Harper for reminding us that no matter how much control you sought, in the end, we the people were always in charge. Now that is truly a beautiful thing.